Getting out on the water is a great experience and a part of life that some of us can’t live without! 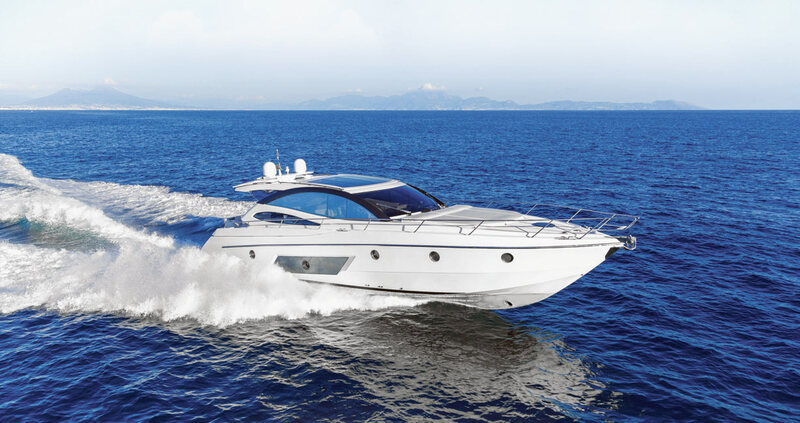 At Boatique Services we provide quality comprehensive boat building, repair and maintenance services to ensure your boat is always in top condition for safe and worry-free boating. 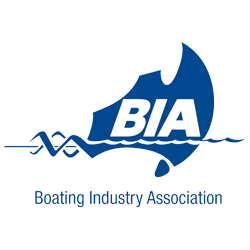 Qualified shipwrights and BIA members with over 30 years experience, we have worked with many different types of boats. Both multihulls and monohulls, from large vessels to small runabouts, and displacement and planing hulls. We work with fiberglass, composite and timber however we can also work on aluminium and steel boats. 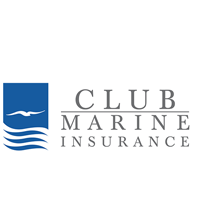 Whether you’re looking to do a small repair or a large modification, we are able to help get you back on the water. Most of our fiberglass work is done using high quality epoxy systems and modern knitted E-glass fabrics. Our recommended material of choice is epoxy for any structural repair or replacement. All new material is bonded in with high strength epoxy glue and fiber-glassed in place with epoxy resin. All through-holes are treated with epoxy to prevent water ingress or dry-rot if using a timber core. The underneath surfaces of new wet-decks are epoxy coated for extra durability and long life. We can project manage larger jobs incorporating different trades such as upholstery or shade covers, electrical installations and mechanical work. We can cater to internal fit-outs of new design cabinet work, installations of appliances such as stoves, fridges and galley equipment. Re-modelling vessel interiors can make a huge difference to a boat by fitting new soft lining, upholstery and floor covering. On deck, we can replace leaking deck hatches, deck hardware, windscreens, port lights, anchor winches and replacement of mast or rigging. 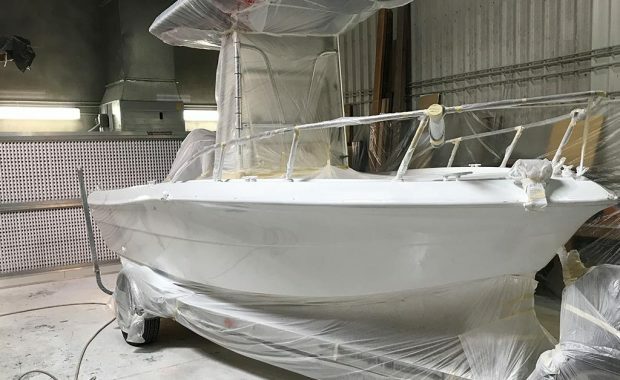 If the gel coat or substrate surface is in need of re-surfacing, we can respray your boat in high gloss polyurethane to make it gleam like new! Or simply let us give your boat a thorough detail and going over to bring everything up to standard. For larger vessels, we can organise lifting and hardstand to undertake major refits, repairs or just annual antifoul and maintenance. A large part of our business is insurance work where a customer has suffered an unfortunate accident and requires repairs. 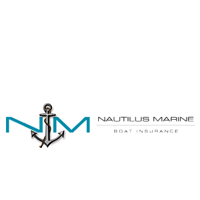 We deal with most of the major marine insurance companies who can rely on our professional standard of work and service to look after their customers. "Craig is a shipwright with integrity and skill. He restored my accident damaged Glass center console to pristine condition. I would recommend Boatique Services without reservation!" "After finding out that my cruise craft had a rotten transom. I took it to Craig from Boatique Services, Craig went above and beyond to get my boat back on the water for our annual fishing trip to SWR at a very short notice. He sent me a photo update daily of the work he had done and helped with any queries I had at the time. Thanks Craig very professional Tradesman." 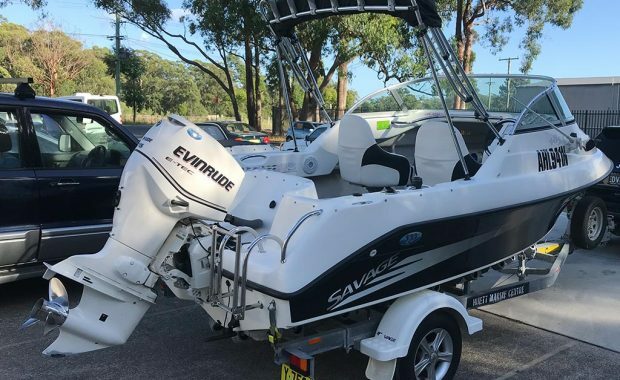 "We suffered some ugly damage to the side of our fibreglass Caribbean Reef Runner when negotiating a boat ramp with a fast running current. I took the boat to Boatique Services the next week and Craig provided a repair quote for the insurance company the following day and we had the boat in for repairs within a week. Quality of the repair on a very obvious side of the boat was A1 with excellent colour match. A few other smaller fibreglass repair jobs were completed at the same time with equal quality. Back on the water now and very happy." "A totally professional process to completion. Craig kept me posted with photos at various important stages of repair; which is very reassuring for someone as particular to fine details as myself and helps install confidence of a job well done when we are heading out in big seas. I’m very pleased with the repairs and I admit I was skeptical that it would turn out as well as Craig had described on that first day we met, as things rarely do, but I can’t fault the craftsmanship and professionalism of Boatique Services and recommend them to anyone wanting an above expectations level of finish. Thanks for all your efforts!" "Thank you for professionally replacing the keels on my 32 catamaran “Captain Jack” after they were lost at sea between Sydney and Lake Maquarie. I was very impressed by your work as you had to replace them with out plans, or the keels to copy, only the limited verbal advice of the builder and a couple of old photo graphs. I was also impressed by your ability to work in efficiently with my time frames considering your obvious busy work schedule. I am very happy with the very high quality of your work. 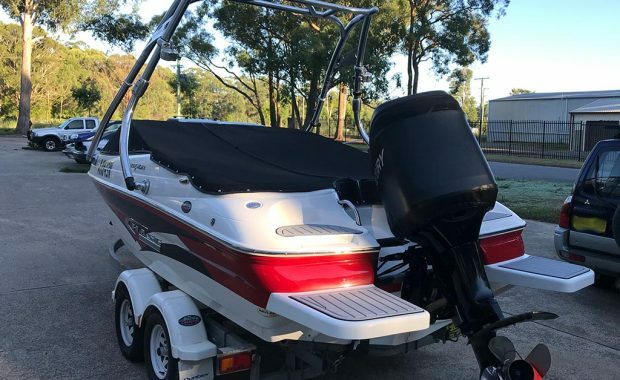 Your professional, friendly approach to your work and the insurance company made the journey back to the water a much more pleasurable journey." "You did a great job in repairing my boat after the recent collision. I can’t even tell where it was damaged. Even the hard to see and access area’s are very well finished. Thanks again, Geoff"
"We would highly recommend Boatique Services, we have always found their work to be of a high quality and extremely reasonable pricing." "I was very happy with the work Boatique Services did on my job. They are extremely knowledgeable in their trade, I learned a lot during this process. Nothing was ever a problem and they were very accommodating. I would only use them for my boat." "Thank you for your great service and professional workmanship. 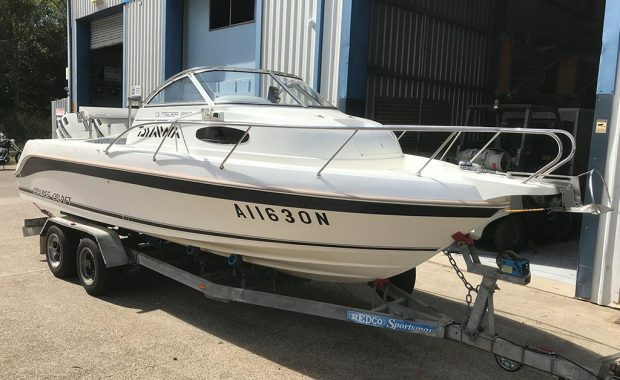 I appreciate the time you spent ensuring a 37 year old boat was returned to great original condition." 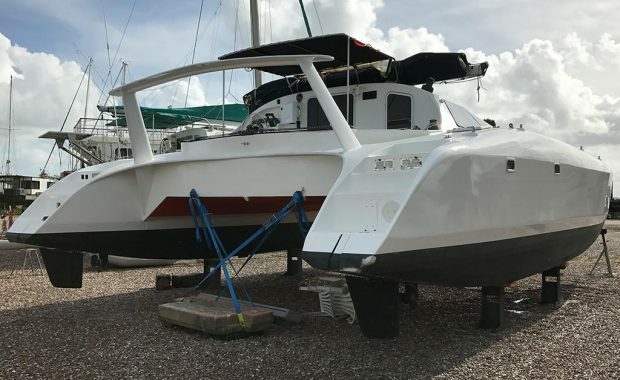 "I would like to say a few words of the work done on our 10m power catamaran, an enormous amount of dry-rot was removed and a large portion of the structure replaced, new windows and hatches were fitted and keels rebuilt. The boat was leak-free for once! We found Boatique Services to be very reliable and professional with a perfect finish. We would highly recommend their services." 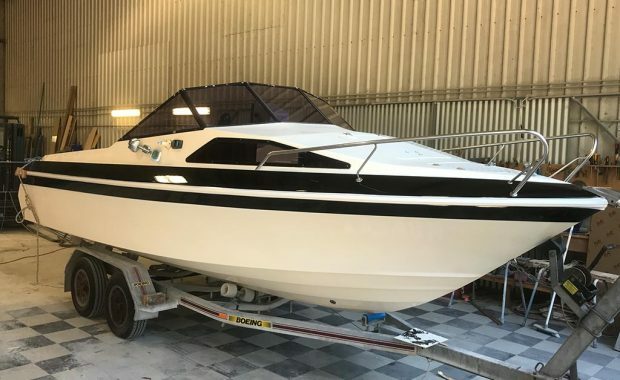 "Being new to boating, I had managed to buy myself a boat with a transom that was in pretty bad shape. Craig was recommended to me by a friend. The quality of Craig’s work was fantastic. The transom looks like new, performs perfectly, and now, over 2 years later, looks as good as it did the day I picked it up. I would certainly recommend Boatique Services for anyone requiring a top quality job. Thanks again Craig for your fantastic work!"